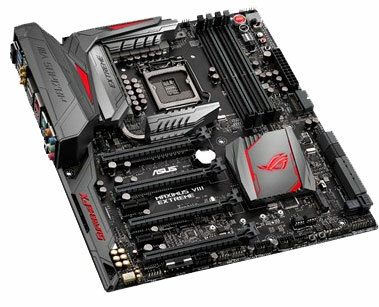 The ASUS Maximus VIII Extreme is one of the most feature packed Z170 motherboards I have seen. With massive support for virtually every modern storage type, a top notch design, overclocking features that range from basic to expert level and ASUS legendary quality. You will be hard pressed to find a better motherboard, of course with a price tag of $493 with shipping, it’s not for everybody. Let’s take one last look at what the ASUS Maximus VIII Extreme supports. For storage we have up to eight SATA 6GB/s, two SATA Express, M.2, U.2, Type-C, USB 3.1, USB 3.0 and USB 2.0; along with two internal USB 3.0 headers. For graphics, this motherboard supports both NVIDIA Quad-SLI and AMD 4-way CrossFireX. LAN connections it has you covered as well with both a Gigabit ethernet, Wireless AC 3×3 2.4/5GHz, and Bluetooth 4.0. The OC Panel II and Fan Controller are a couple added features, providing a quick method to check the status of your system and control additional fans. As much as you’d like to stay this motherboard performs significantly better than other Z170 motherboards in gaming performance, it doesn’t change much between motherboards. The gaming advantages with the ASUS Maximus VIII Extreme comes in the form of the added features that includes the SupremeFX on board audio that will give you an advantage over the enemies, by allowing you to hear them coming early. Sonic Radar increases that advantage by allowing you to see which direction the sound is coming from. Online gaming is given an advantage with the Intel Gigabit ethernet, and ASUS GamesFirst utility which prioritizes the gaming traffic. 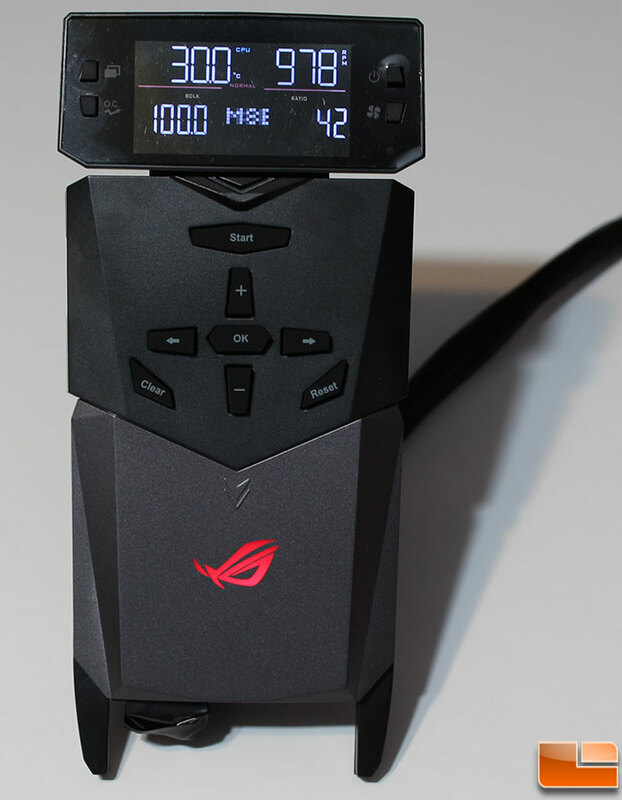 Overclocking in the UEFI BIOS is a piece of cake, for those that are new to overclocking, ASUS has built in several pre-configured overclocking profiles to get you up and running fast. For the experts, there are so many options to tweak, the LN2 boot mode, and the Retry button. For our overclocking, we didn’t do much to push the system to it’s limit. We simply increased the voltage to the CPU and the CPU Ratio. While we were able to boot the system at 5.0GHz, it was unstable, at 4.9GHz it was perfectly stable. With some further tweaking, I have no doubt we could get it past 5.0GHz. Even so, a 22.5% boost without trying is impressive. The Kingston Fury DDR4 memory was overclocked well beyond our previous experience from an average 2933MHz to 3100MHz simply by telling the BIOS to adjust the clock speed. The ASUS Maximus VIII Extreme is one of the best Intel Z170 motherboards you can buy for your Intel socket 1151 processor. ASUS has a great reputation for building some of the most stable and reliable motherboards. 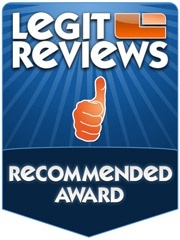 However, if you do happen to have an issue, ASUS backs their motherboards with a three year warranty. Legit Bottom Line: If you are looking for the best Z170 motherboard, the ASUS Maximus VIII Extreme is hard to beat. Few motherboards will be able to stand up to the quality, features and aesthetics of the Maximus VIII Extreme. ASUS is always hard to beat, and this motherboard is certainly one of the best money can buy.